Inspire to teach. Inspire to learn. Copyright Compass Publishing. All rights reserved. 생성한 클래스와 구성 학생을 모두 삭제하여야 회원 탈퇴 가능합니다. 1. [Class-View Class-Number of Students] 구성 학생 전체 퇴출. 2. [Class-View Class-Delete] 클래스 전체 삭제. 3. [Edit Profile - Delete My Account] 회원 탈퇴 . Do you wish to delete your account? Your password has been sent. Please check your email. Your temporary password is 4030. Please log in again using this password. Then reset your password. If you CLICK the button, you will receive temporary password. 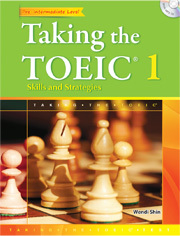 Enter the Class ID for Taking the TOEIC® 1 that you got from your teacher. 2. 생성한 Quiz를 Class에 할당하세요. - 직접구성: 원하는 Quiz 직접 선택 구성. - 추천구성: 카테고리별 자동 구성된 Quiz. - All test and report histories of assigned class students will be deleted. - It is impossible to recover after deleting the Quiz. Are you sure you want to delete this Quiz? There is a new Quiz written by your teacher. Recommended by analyzing your reports in CLASS LOOP. Reinforce vulnerabilities with recommended Quiz. After completing 00 issues in Books, the vulnerability will be analyzed and automatically released.